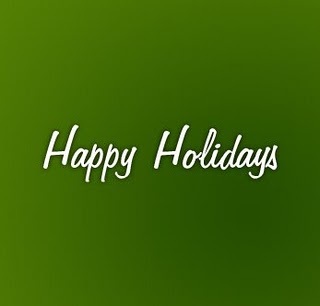 Thank you for all the support and feedback in 2010. I wish you and your families love, peace and great style this holiday season. See you in 2011. The clock is ticking and you don't know what to buy for your Boyfriend, Husband, Dad, Grandfather, or Buddy. Some of you might cave into the pressure of still going that extra mile for a cool present, and some may just get what ever first catches you eye given the time you have left. Here are a few suggestions of what to get HIM before the clock strikes 12 on Christmas Eve. 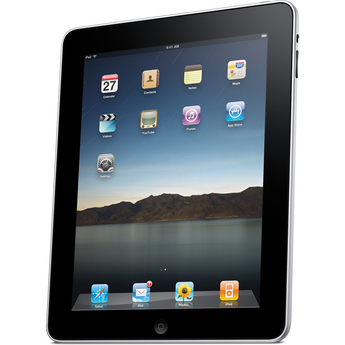 1) The iPAD from Apple. This gadget is so readily available its like candy. Available in most of the large electronic retailers like Best Buy and Future Shop and also on the Apple store, this gift is one that is quick to find and get for your man. It comes in 16, 32 and 64gb flash drives, wi-fi and 3G options. Starts at $499. 3) A Subscription to style and fitness: GQ and Men's Health Magazine. These are my two favorite magazines in terms of content and quality of writing. Both provide helpful tips on style and good health. And what better way to start 2011 but give him new ideas on how to look and feel better. Men Health, $1.49/issue. GQ, $1.00/issue. While you're at it, throw int the GQ Style Manual, $10 as well. 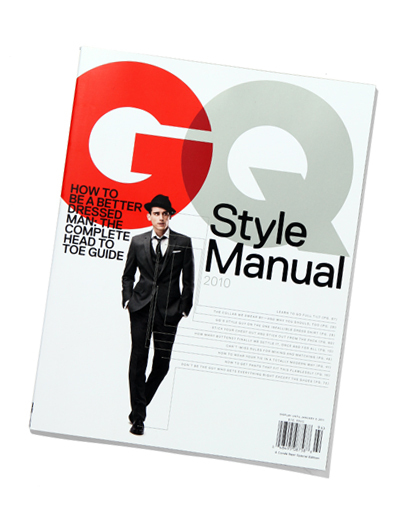 Its a great compilation of GQ fashion tips in 2010. 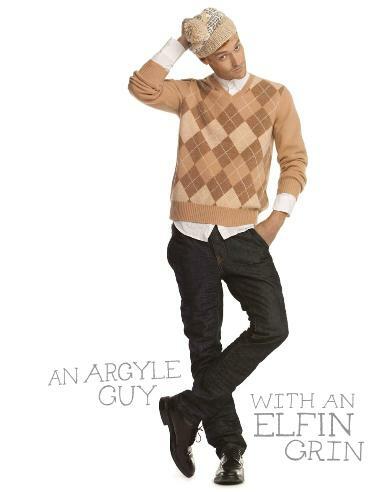 4) Argyle Sweaters and Slim Jeans from JOE. For $39 each, you can't go wrong with these items from JOE Fresh. I have a pair of their Slim Dark Denim and I love them. It feels and fits like an expensive jean, but costs much less. And the argyle sweaters come in variety of colors that go well with dark denim. Visit your favorite JOE store today. 5) Gift of Sight: Bruce Eyewear. This is my favorite specialty eyewear store in Vancouver. Its got an amazing selection from brands like Cutler and Gross, Alain Mikli, Harry Lary, Mykita, Theo, Robert Marc, Dita, Retro Super Future and Kirk Originals. 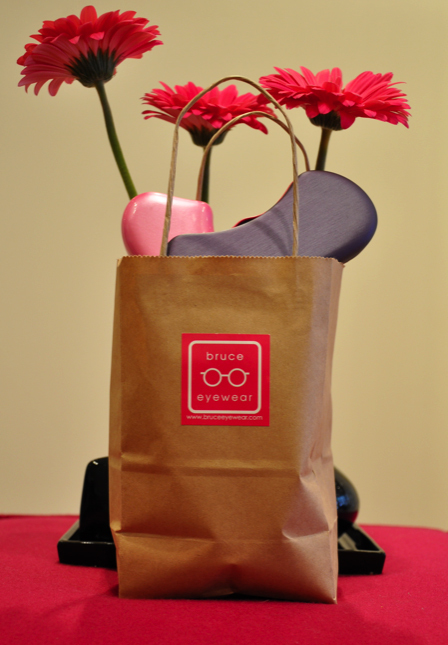 Get your man a gift certificate towards a new pair of prescription glasses or a pair of cool sunnies. For more information, check out Bruce Eyewear online or at their Gastown store in Vancouver. "COMUNE was formed from the idea that there will always be people out there who not only embrace the rawness and imperfections of everyday life but also use it to creatively push the boundaries of what’s possible in skateboarding, fashion, art, and music their own way, with complete disregard of the consequences. Their goal is to provide clothing that reflects this lifestyle of carefree idealism and to support the people that choose to live it." 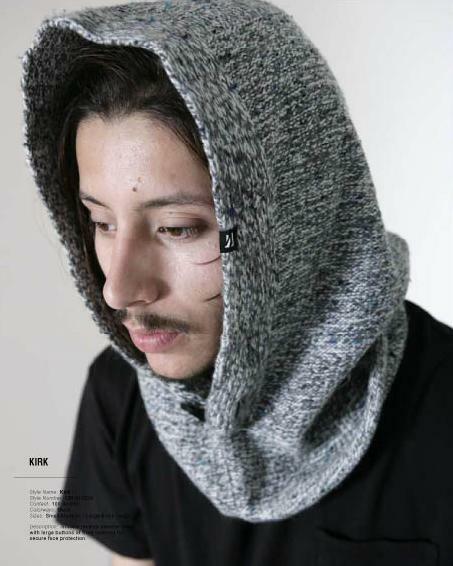 One brand you should check out this holiday is COMUNE. Its got too many stuff to talk about here so I'll let your fingers do the checking online. Visit COMUNE here. There's a few things I love about this brand. They make cool t-shirts. The creative line drawings, letter logos, and use of black and white imagery make the shirts unique. 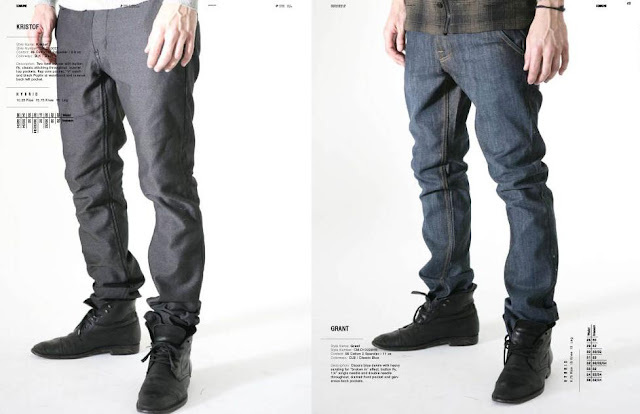 They make an assortment of denim whose fit goes beyond that of the skater look. The euro-feel of some of the jean cuts, makes them great for stuffing them into your boot. Lastly, they make great accessories. 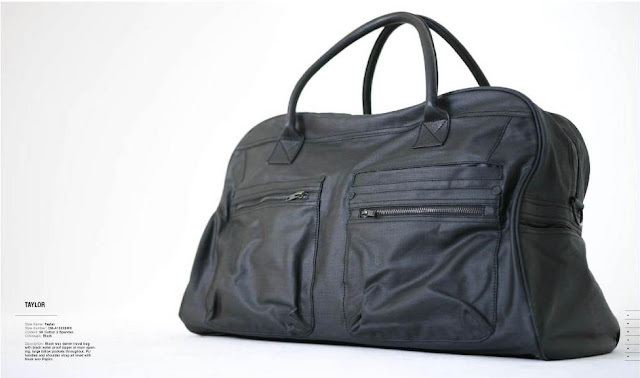 From weekender bags to card wallets,the clean and cool aesthetic of this brand makes it one of my favorites. Here are my favorite things from COMUNE this season. Nothing says "True Hipster" than the Vestal Lynwright Sunglasses. 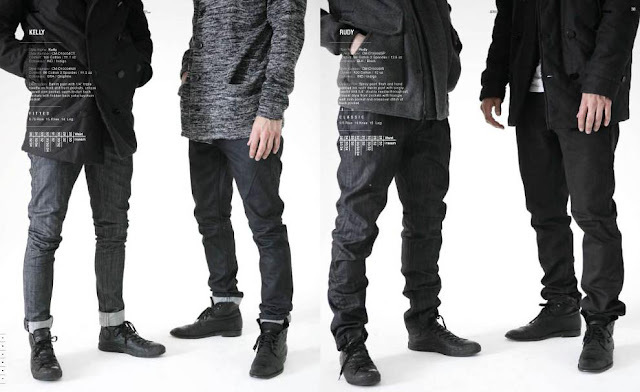 This architecturally inspired piece makes every guy look cool. From the clean lines to the quality lenses, this is a must have for the guy who has everything else. 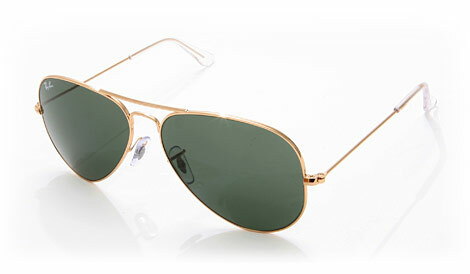 It's very rare to find a pair of sunglasses that both on trend and on price. The Lynwright bodes simplicity and exudes great style. Available in three frame/lens combinations, Black/Grey, Tortoise/Brown and Milky Grey/Grey. For more information, visit your nearest Vestal dealer and check out Vestal online. I've been a big fan of the brand All Saints since I first set foot in London this year. Their leather apparel, vintage denim and most importantly their plethora of boots can fill my closet any time. Since that visit, All Saints, has recently opened a store two hours from me in Seattle, WA. This season, one of my favorites from this label is something very basic -- sweatpants! Not just any ordinary sweatpants, its from All Saints. 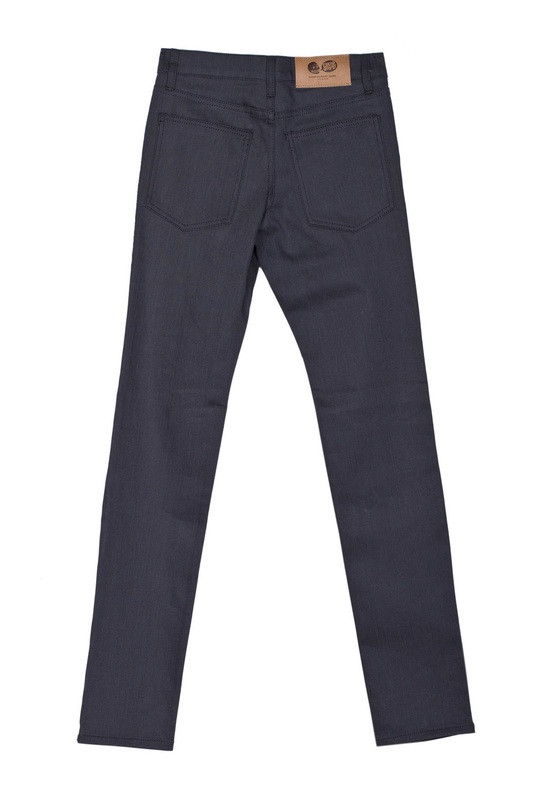 The Ludlow's dropped crotch is inspired by the popular harem pant. The generous amount of room in that area allows for alot of movement whether for sport or just lounging around the house. The fleece back sweat pants with a heavy vintage wash feels comfortable on the inside and the outside. 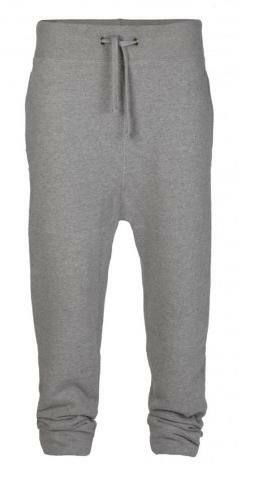 If you're looking for that classy, cool and stylish sweatpant that you can wear anywhere, this is the one to pick. Price $100, £60. Is your man an audiophile? Can he tell the different levels of treble and bass? If he is, then Monster's beats by dr.dre headphones could be the perfect gift this Christmas. Popularized by Grammy-winner Dr.Dre, these headsets captures every detail of sound that runs through its wires. The sound is balanced and the bass thumps..a lot. Although bigger than the usual headphones, the smart tri-fold design make for easy storage when not in use. And who say's this headphone is only good for your music. Solo HD's cable also works with your iPhone utilizing Monster's ControlTalk™ for iPod® playback control allowing for music phone hands-free calling.Its also a head turner with its stylish design and high gloss finish that comes in black, white and the special edition RED. A portion of the profits from the Beats Solo HD (PRODUCT)REDSpecial Edition headphones will go straight to the Global Fund to fight AIDS in Africa. Retail $280, available at Future Shop and Best Buy or wherever Monster headphones are sold. I like chocolate. And so do other guys although they may not admit it. What's better than great tasting chocolate? Great smelling chocolate. Vancouver-based artisan perfume house Ayala Moriel Parfums has joined forces with CocoaNymph chocolatiere Rachel Sawatzky to create the ultimate indulgence - scented chocolate bars. With three amazing scents and flavours, choose from Espionage, with smoked salt, jasmine, and juniper; Guilt, a combination of orange blossom, blood orange, and wild oranges; and Roses et Chocolat, a fiery rose, saffron, and chilli. This present makes a great stocking stuffer for the man who loves fine and decadent chocolate.The chocolate bars are $12 each or 3 for $30 and are available at CocoaNymph Chocolates & Confections, located at 3739 West 10th Avenue in Vancouver, BC and online at cocoanymph.ca and ayalamoriel.com. First it was the flip flop with a built in bottle opener. And now its an iPhone case. I'll guess you'll never know when you're going to crack open a bottle of cerveza while on the phone. 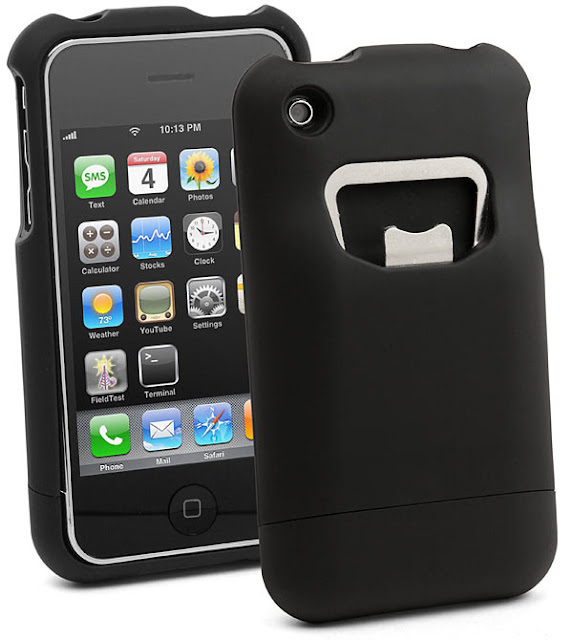 Not only can it open your beer bottle, but it also serves as a protective case for your iPhone. Its hard shell slip on case alongside its soft touch feel makes it a great add-on to your collection of phone cases. Just imagine the number of beers you can drink while your checking Twitter, Facebook or playing Angry Bird. MSRP $19.95 plus S&;H. Available online at iPhoneBottleOpener. Gray is the new Black. Whether it a solid Dark or a washed out fade, gray is my "pick" color this season. One of my favorite things in stores now is Cheap Monday's Premium Gray Selvedge"Tight"Jean. What is selvedge? It means its never been washed or bathed. Its denim at its purest form. The Swedish brand known for its quality denim at a moderate price has created a nice fitting jean that looks amazing with a pair of cool sneakers or with a distressed boot. 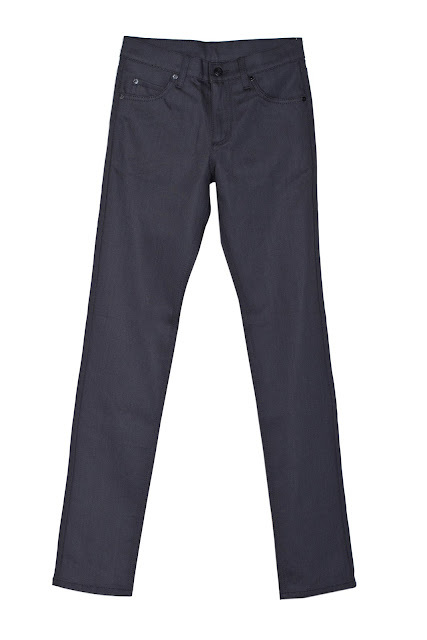 The pant has a normal high waist with a long rise, tight fit and tapered leg. Given the unwashed nature of the jean, it can feel really snug. "Tight" is the original Cheap Monday fit born in 2004. 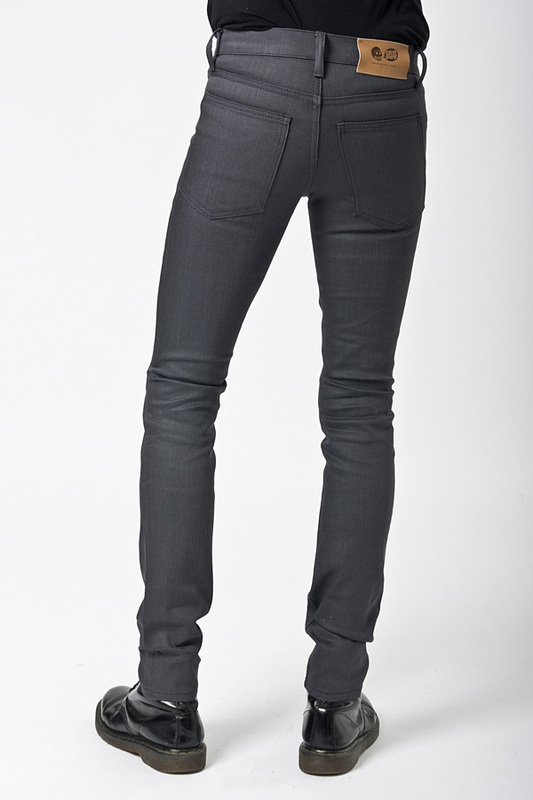 The Premium Tight is an updated version using a higher end denim that has selvedge finishing on inside seams. 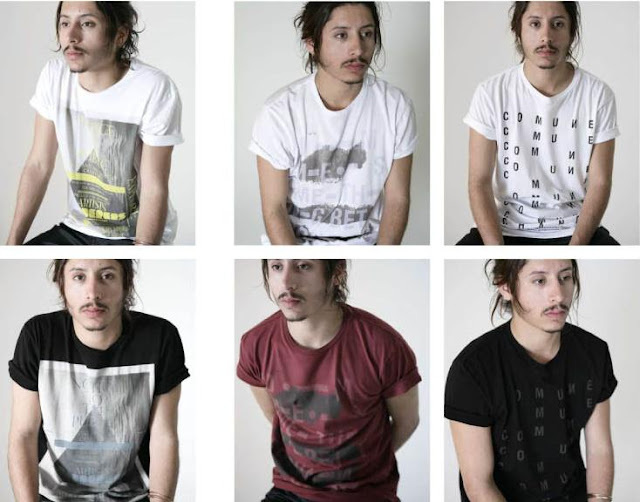 Check out Vincent Park and Cheap Monday. Retails for $155. Winter is all about cool boots. You'll see alot of them on ISTYLEU's Favorite Things this holiday season. First up is the Converse Chuck Taylor Storm Boot XHI with Woolrich® fabric. This boot is cool for many reasons. 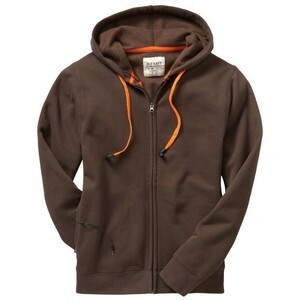 It can look both rugged or casual. It features a dual upper that has a leather outer layer and a Woolrich® inner layer. It keeps your footsies warm with its soft cotton lining. It's also one of kind (yes, I haven't seen one like it anywhere else). Lastly, the Storm boots also sport heavy duty eyelets and a rubber lug outsole to give your feet "grip" in bad weather. I've worn this in snow and rain, and they function amazingly well. Definitely a must have for the guy that wants to stand out from the crowd by being cool, rugged and stylish. For more information, check them out @ Converse MSRP $170. Available in Vancouver at Town Shoes, Gravity Pope and Little Burgundy. This week marks the opening of the first free-standing JOE store in Western Canada. 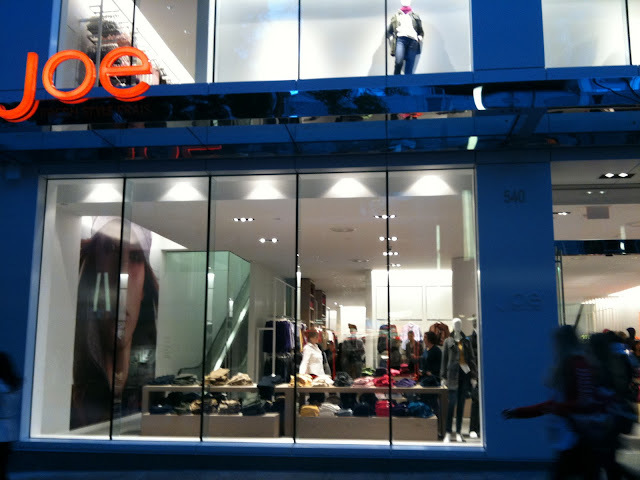 For those of you who are not familiar with the brand, JOE Fresh is a Canadian high style - low price clothing label started by Joseph Mimran who is also the Creative Director of the brand. In one of my interviews with Mimran, I've asked him what is JOE about. He said "JOE is about new product, fresh price. That's what I want people to remember." And after this weekend, I think many people will get to see and understand what he meant. I went on opening day to check out what menswear they had available. This place is spacious at 14,000 sq ft and 2 floors. The experience from the time you walk in to the time you left was amazing. I wasn't disappointed. 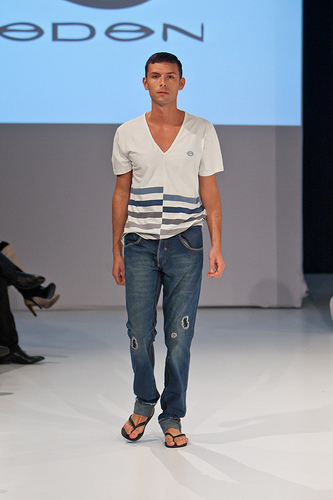 They had trend pieces like slim denim jeans to great classic pieces like wool double breasted peacoats and cotton v-necks. 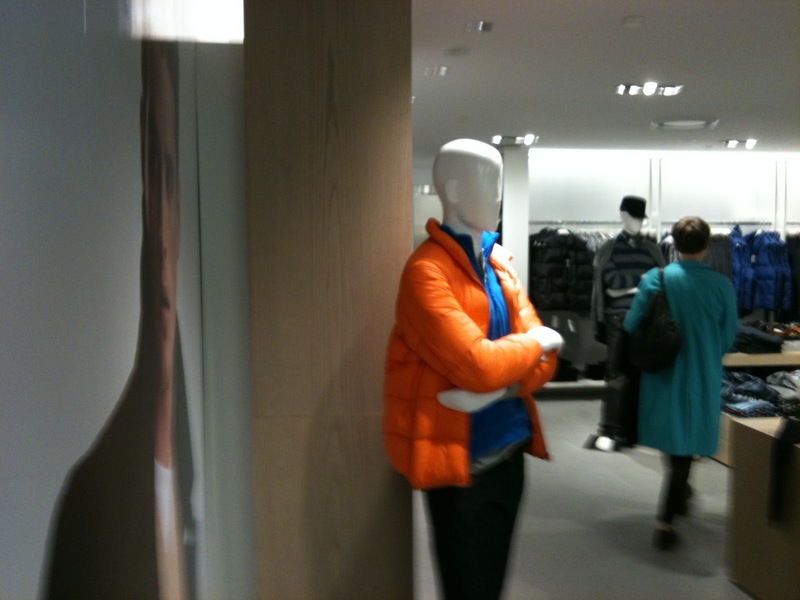 The mens area was exceptionally well merchandised. The staff was friendly. And the fact that they had tills on both floors made it easy to shop. The store's grand opening is tomorrow October 16. Make sure to check out the street party from 2-6pm with performances from Divine Brown, Marianas Trench and many more. This free concert will be happening on the corner of Granville and Dunsmuir, which will only be open to pedestrian traffic. Have fun. Happy shopping. And I look forward to hearing your stories. "Why present genuine ideas & true character if artificial ones are more effective in the marketplace of power? There is a war at hand between the balance of the needs of the individual and the needs of the community between freedom and order between passions and principles between selfish desires and stewardship short term verses long term. Community needs leadership either steer the changes shaping the vision or be steered by the changes thus leading to dysfunction. We can either wait for change to be imposed upon us and so increase the risk of catastrophe or we can make some difficult changes on our own terms and so reclaim control of our destiny. The glittering blinding promise of easy fulfillment is so seductive that we become willing to forget our true feelings and abandon the search for authentic purpose and meaning in our lives but the promise is always false because the hunger for authenticity remains." If you asked fashion industry experts where they would find the next big thing or the next big designer, you'd probably hear the usual cities like New York, Los Angeles, London, Milan or Paris. Who knew that a American civil war town whose population is about 55,000 could produce a designer whose impeccable attention to detail and forward thinking will be admired for years to come. 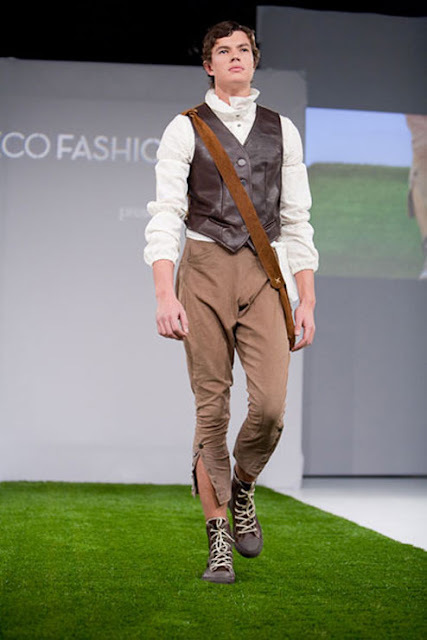 American designer Jeff Garner’s Prophetik, a men’s and women's line has that theatrical, romantic and renaissance feel that you only see in film, plays or musicals. Out of Franklin, Tennessee this line blows my mind away with a number of pieces that can either be worn as separates or as a whole ensemble. 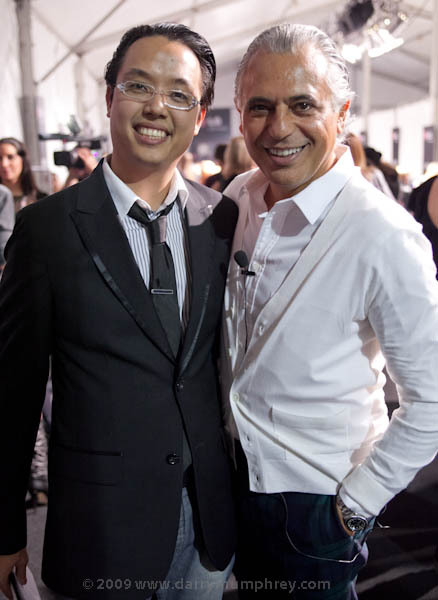 In talking to Jeff Garner, he casually mentions that "the goal is not necessarily to have guys wear and look like everything on the runway but rather for them to take pieces from the collection and individualizing it by combining it with what one already has." The clothes are all made out of organic natural fabrics which are dip-dyed with botanically derived pigments. 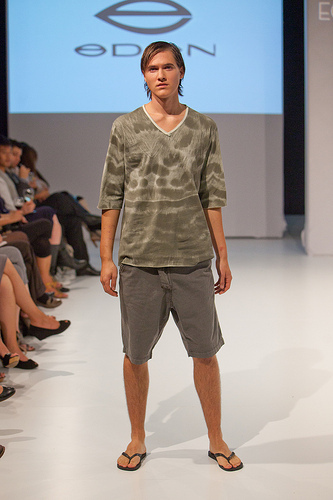 Seeing brands Prophetik take a bold step in eco-menswear gives me hope for future. "The trigger for change is education" according to Garner. "We all have dress behaviors which come from what we see in the media and our own social environments. We pick it up and make it our own. If we are educated on eco-conscious options, we can make the right choices." Jeff and I also got talking about the marketability of the line. People who saw the show are probably wondering whether guys would actually buy it. Its eccentric, unique and non-conventional. And Garner's response to that is "Men buy visually. They want to see it merchandised on mannequins or worn by other men. 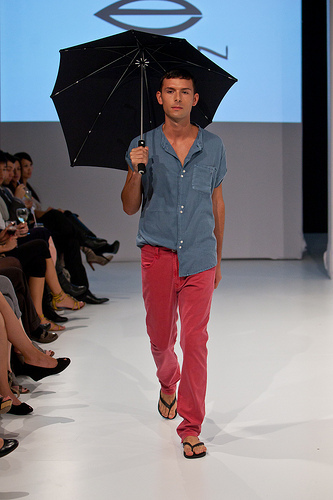 I don't expect men to dress like me or like the models on the runway. I want them to see the pieces, inspire them, and make it their own." 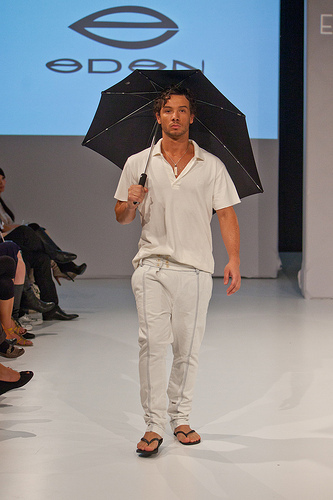 There's also a health benefit to wearing eco-menswear. In his powerful video, Jeff talks about a sample maker who gets sick from inhaling fibers from non-organic and chemically dyed fabrics. This just proves there's more to the article of clothing we wear that as individuals we don't know about. I loved everything about this line from the looks to the actual pieces. To Jeff and Prophetik, I look forward to your success. 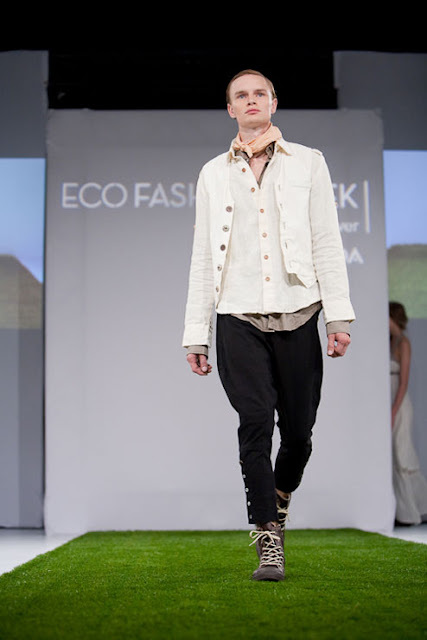 Last week, Vancouver played host to its first Eco Fashion Week.Its very rare to see menswear in the area of organic fashion. When you do see it, its usually done either really well or it just becomes a poor attempt at being eco-friendly.This season we saw a brand from Sao Paolo, Brazil make some of my favorite trend and classic pieces fashion-forward not only in terms of design, but also in quality. "Conventional cotton is one of the most chemically-dependent crops, sucking up 10 percent of all agricultural chemicals and 25 percent of insecticides on 3 percent of our arable land. That adds up to 1/3 of a pound of chemicals to produce enough cotton for a t-shirt, and 3/4 of a pound for a pair of jeans. And that's just not bad for the planet; 20,000 deaths occur each year from pesticide poisoning in developing countries, many of these from cotton farming, according to the World Health Organization (WHO)." Regina Landim Noppe of Green Sapphire Imports, the exclusive North America distributor for EDEN enlightened me on the brand, the line and purpose behind EDEN. "This season for Eden is called Organic Ocean. Inspired by colors from the ocean like sandy whites, sea foam green and sea blues, the line ebbs and flows with a mix of classic and trendy elements. All products are 100% organic and made using sustainable practices. Most importantly, we are NOW (Natural Organic World) certified which guarantees that all the raw materials used in the production of organic cotton comply with international organic standards." And with the ocean inspiration Landim-Noppe mentioned, the show couldn't have been more calming and inspiring. The colors and the fact that there were cool clothes on the runway made with eco-friendly materials and sustainable production practices, brought a sense of excitement in this new area of menswear. Look out for EDEN in your North American city soon. For more information, visit EDEN here. Its not always that you get an opportunity to hear Barbara Atkins, VP for Fashion Direction at Holt Renfrew talk about menswear. Last July, I met Barbara at the Holt Renfrew Fall 2010 Fashion Preview Event in Vancouver. The last time I saw her was in October at L'Oreal Fashion Week in Toronto. Barbara is one of Canada's premier fashion experts. When she says its "In", its "In". During the pre-show cocktails, Barbara and I had a brief chat to get re-acquainted. One thing we discussed were her thoughts around the changes in lifestyle and how that impacts the trends we're seeing this season. Not knowing, this was also the first 5-10 minutes of her presentation. Atkins said "People are moving away from formalities. Everything is quick, easy, casual. In fashion, the direction is leaning towards smart casual. Suits and ties, although still nice, are not the norm anymore. Today, its about comfort, ease and intelligence." 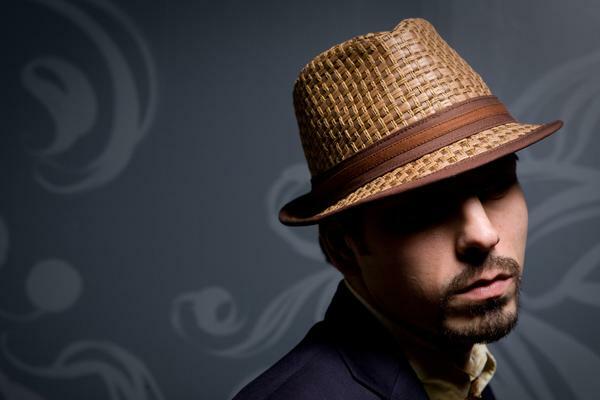 And on personal style, Atkins gives great advice "Authenticity is your next heirloom. 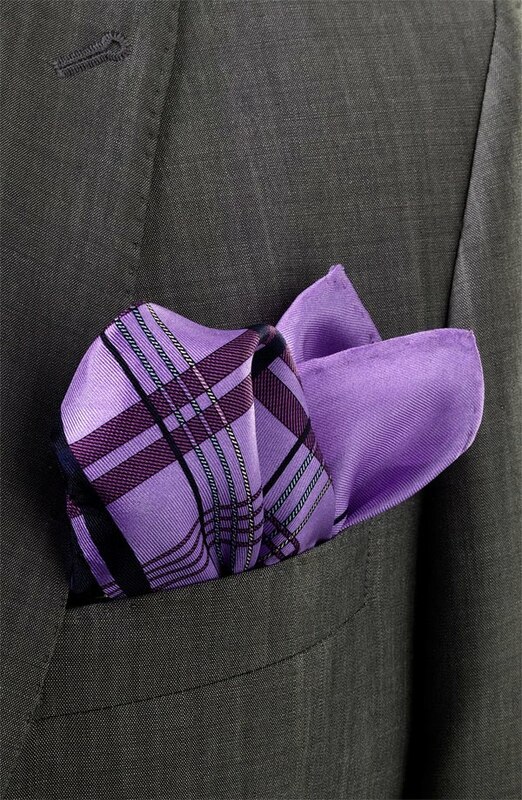 Personal style stems from color and off beat combinations. Have your modern classic pieces, and personalize them with folklore and global decorative inspirations." 1) Battle Gear. Military inspirations are seen across all dimensions of wardrobe. 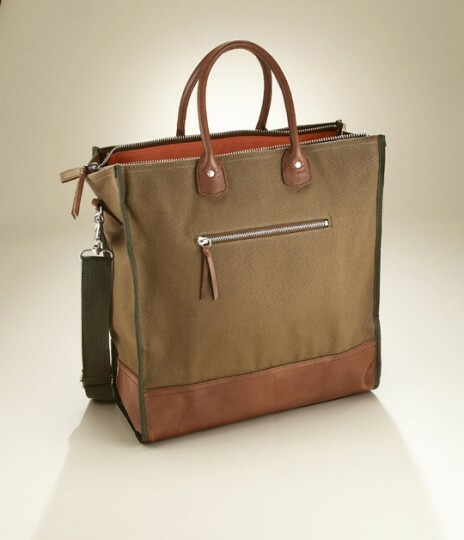 From combat boots, to military detailing on jackets and coats, to army green totes (aka "man bags"), this is the theme for the season. 2) Knit Picking. Cardigans, vests, knit outerwear, urban joggers and toques are just some of the must have knitted pieces for Fall/Winter 2010. Cashmere is still the best when it comes to comfort, warmth and ts soft feel to the skin. Merino Wool is great alternative. 3) Jacket Required. Whether it be tweed or velvet, pinstripe or solid, every man needs a jacket in their wardrobe. Its that one piece when added to a plain white tshirt and jean ensemble makes it a sophisticated and modern trio.Coordinate your jackets with a cool, silk pocket square or fashion forward skinny tie. 4) Jean-ology. Its not a faux pas to wear denim with denim. This season, there'll be a lot of varieties on how denim is treated and worn. You'll see the brave souls mixing denim washes for their tops and bottoms. and some will simply be happy with a flattering pair of distressed denim jeans. This fall/winter dress up or dress down your denim with some of the other trends this season. - A slim tailored tweed, herringbone or moleskin jacket. - Accessories: Utility Bag (aka Man Bag), necklaces with unique pendants, slouchy toque, over sized scarf. If there's one brand that is timeless yet current, its Banana Republic. I've been a big fan of this brand ever since I bought my first dress shirt from them in 2002. I may not have that shirt anymore but I will never forget why I got it. Great quality. Excellent price point. And remarkable details such as the mother of pearl buttons, crisp collar and impeccable tailoring of the shirt. This same attention to detail still remains today with all Banana Republic products. Its one of my favorite places to shop for those eternal pieces that look good today and 10 years down the road. 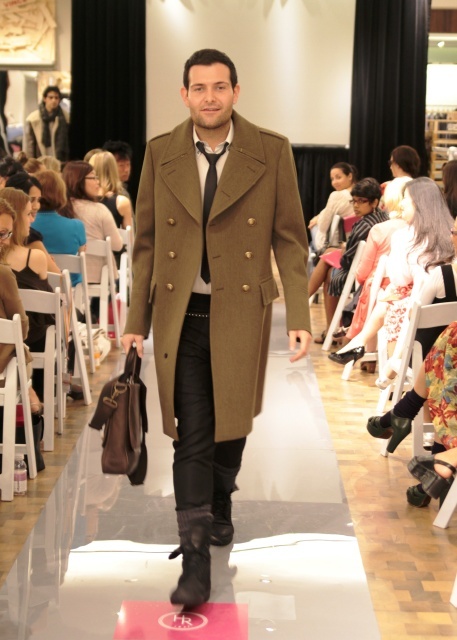 As proof of that, my first Banana Republic wool trench is still in great shape after 8 winters. 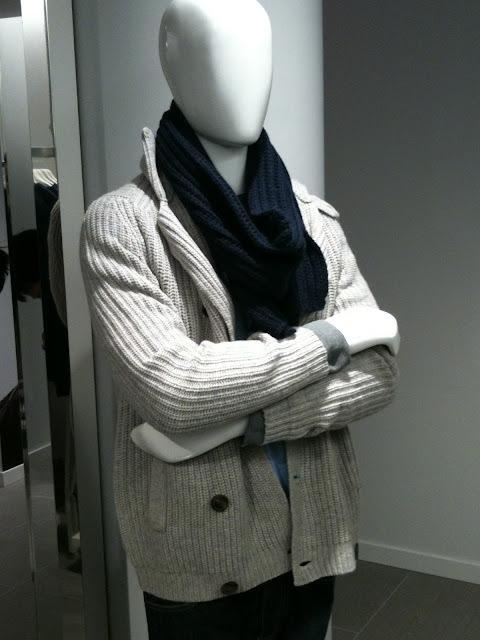 Since Fall and Winter is coming up, here are my top picks from Banana Republic. - Fit.Give enough room in the coat to accommodate times when you're wearing a sweater. Make sure the shoulders (coat and actual shoulder) line up. - Fabric. 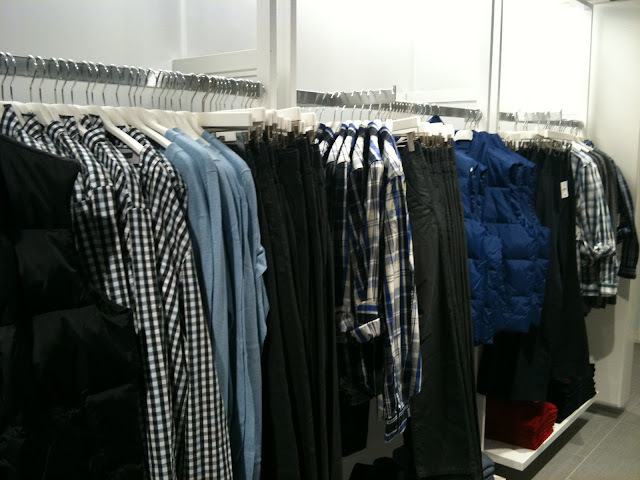 There are two main types of fabrics used for coats. Wool works best if you have dry, cold winters. Treated Cotton are great for wet and cold winters. - Cut. 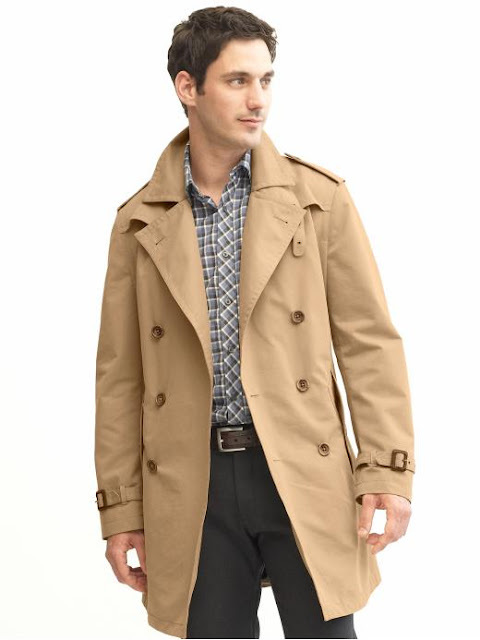 Trench coats are slimmer now then they were before. For slim fellas, stick with a slimmer cut as opposed to the more traditional, boxier cuts of the trench coat. 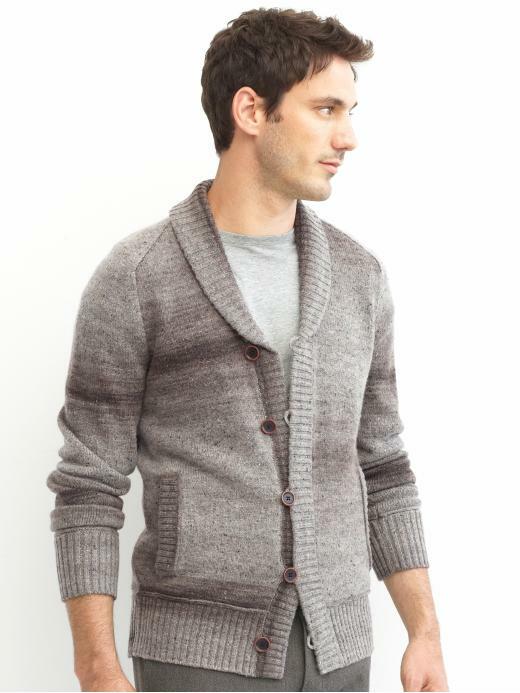 Heritage Shawl Style Cardigan: Nothing says warmth better than a nice, comfortable, classic cardigan. Knits are still a must-have this season, and this is worth getting if you don't already have one in your wardrobe. This versatile and character filled cardigan is one of a kind. You can practically dress it up or down, at work or after work. I love the shawl collar, the various shades of gray, and the coziness of this piece. Highly recommended! 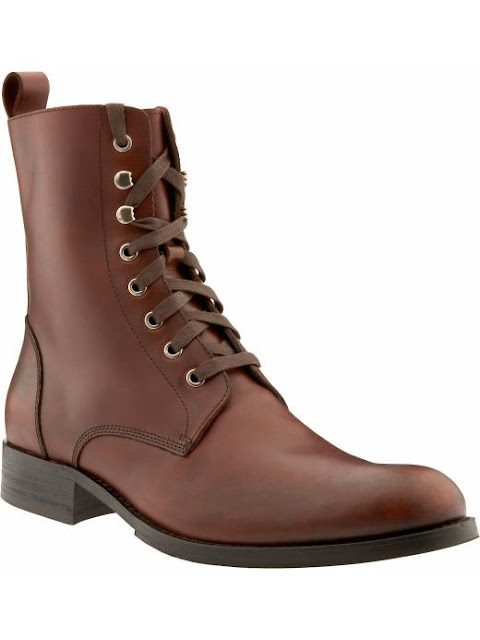 The Denver Boot. Fall and Winter is never complete with a good pair of boots. Whether its a cowboy boot, a military boot, or a dress boot, you just need to have one in your shoe closet. Over the years, Banana Republic has expanded their shoe collection. 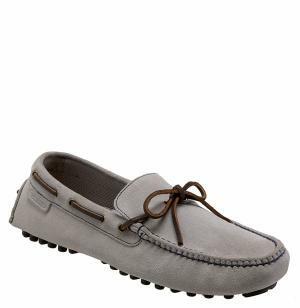 "Driving Loafers" are ones that this brand makes really well. This season they brought back the Denver Boot. Once only available in-store, the boot is now available online. I love the softness of the leather and the comfort of the memory foam insole. Just like most boots in the market, this one is not water-repellent. Make sure to spray it with a silicone based water repellent spray which you can buy at your favorite shoe store. 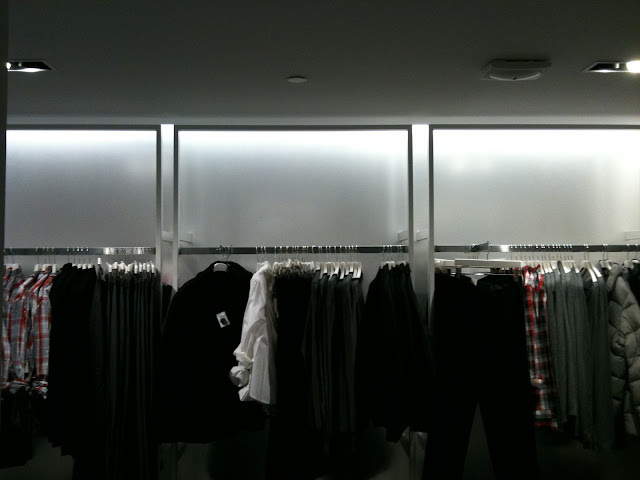 These items are all available in store and online at http://www.bananarepublic.com.